NEW Black 5-3/4" Headlight Grill for Harley Davidson Motorcycles. Adding thisgrill to your headlight is a quick and easy way to dress up your ride. Important Please Read: Remove the stock chrome trim ring offthe headlight bucket, separate the grill from the mounting ring and then slidethe mounting ring over the back of the headlight. You have to both unwire ANDunmount your light. You then screw the entire grill to the mounting ring, essentially"caging" your headlight inside this setup. Please confirm measurements and fitmenton your vehicle before purchase. Modifications may be required. All measurementsare approximate and rounded. 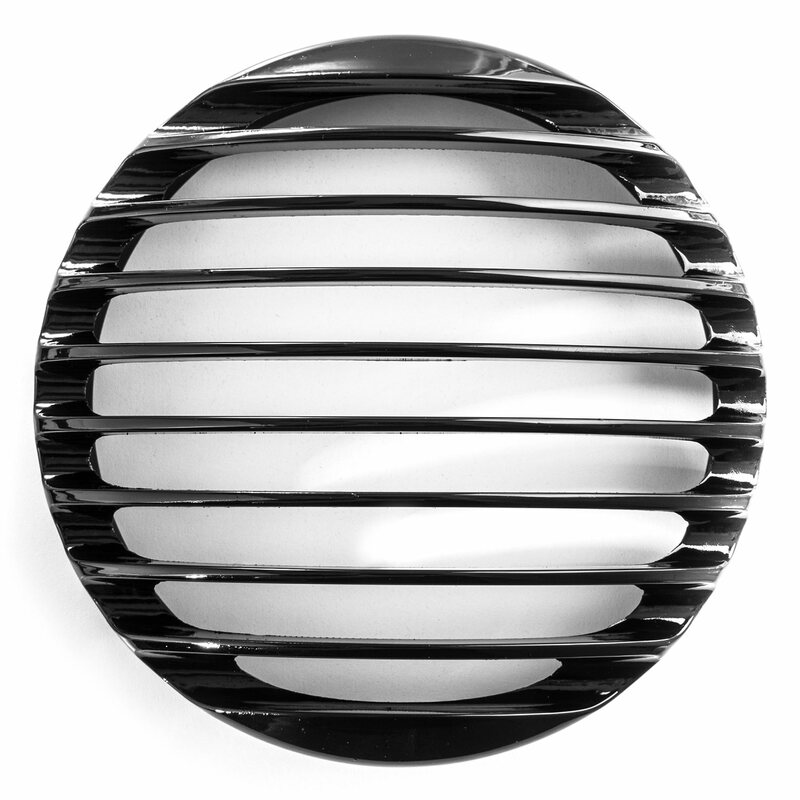 NEW Black 5-3/4" Headlight Grill for Harley Davidson Motorcycles. Adding this grill to your headlight is a quick and easy way to dress up your ride.